Tennis is NOT for everyone and the Chandigarh leg of The Road to Wimbledon 2019 was a rude reminder for someone like me, who grew up craving for a chance to try out the sport. And I’m not just talking about the economic aspects of the game that prevents a middle-class family from enrolling their kids’ name for a tennis program. The game is also incredibly grueling on your body and requires peak fitness to even complete a match. It was indeed a privilege to experience lawn tennis, its unpredictability and its beauty up close, as I produced the videos for the event. India’s finest tennis talents fought it out amongst themselves, and while no 1 seed Ayushmann Arjeria might have won the competition, there was plenty on show to suggest a positive future for the sport in the country. Here is a small double-exposure shot of the Athreya watching his opponents intensely. Experts from the All England Lawn Tennis Association, Jeremy Bates and Lucy Ahl, explained in detail how playing on grass courts was different from other surfaces. “In my time, we played the 4-2-4, a formation that was made popular by the great Brazilian and Hungary teams in the 1950s. We played it in 1960 Olympic Games too,” he explains after I casually ask him what formation he preferred in his playing and coaching days. We had been talking about football in our two phone conversations prior to the meeting. He was pleasantly surprised by the interest I showed in his playing style. Football formation, to put it bluntly, is the pursuit of distributing players evenly across a field that is designed to accommodate 22 humans, and still leave the perfect amount of space to be exploited. Add an extra player in both teams, the pitch is crowded. Subtract one, there is too much space. Over the years, coaches have tinkered with formations to hit the right balance. But there has never been one answer. Teams dominate for a certain period until a new coach and a new side under him/her finds a flaw in the existing system, develops a new style, and then set the trend for the subsequent years. “It was a great time to be coaching. It was around the time total football was emerging in Holland. Brazil was playing outstanding, attacking football, and in India, we had some really good footballers. So I wasn’t unhappy,” he remembers. He doesn’t want to brood over his shortened playing career, dismissing all suggestions of a lack of support, by saying “that’s how things were back then”. Sundararaj hadn’t really thought about a career in coaching. In the late 60s, when he was working for the Southern Railways, he was given a directive to attend coaching classes at the National Institute of Sports (NIS) in Punjab. Sundararaj merely followed the orders and shifted base to Patiala where he secured his coaching certificates. “I went to Punjab at a time when Major Dhyan Chand was coaching at the NIS,” he fondly remembers. Even though Sundararaj is the first Tamil Nadu footballer to feature in the Indian national football team (Krishnamurthy from Thanjavur had also played for India but represented Bengal in the nationals after shifting his base to join East Bengal), it is in Kerala, the neighbouring state, where he spent most of his professional career. After securing his coaching license at the NIS, Sundararaj quit his job in the Railways, to join as a ‘wing coach’ for NIS in Thiruvananthapuram. After a brief stint at the state capital, which according to the coach, was marred with politics, he shifted to Kochi, where he joined Fertilisers and Chemicals Travancore Limited (FACT) as a football team coach. It was during his early days at FACT that Sundararaj was offered the opportunity to coach to the Kerala football team. The state had been given an opportunity to host its fifth Santosh trophy, with Ernakulam set to be the venue. “Senior players had a big say in Kerala football. They dictated things and in some ways, prevented younger footballers. For the first time in Kerala’s history, I held an open trial and identified the Santosh trophy team from around 150 players who had turned up for the camps. A lot of these senior players missed out as we selected younger players”, he recollects. “I sold my ancestral house. We were getting too old to maintain it. A flat means it is convenient,” he says, pointing outside the window. It was drizzling — the season’s first rain according to Sundararaj. He goes on to explain how Thanjavur is dependent on rain, as the economy was largely agriculture-dependent, and how a lot of food, including that for neighbouring states like Kerala, was produced in the region. “Made in Thanjavur, consumed in Kerala,” he says. His answer when I ask him his favourite football coach of all time is somewhat in sync with this pursuit of fun in football than the ideology he followed as a manager — where the system was more important than the method. “What Tele Santana did with his Brazilian teams will forever be how I would want football to be played,” he remarks. Many remember Brazil’s defeat against Italy in the 1982 World Cup as the day “football died”. Where system defeated freedom. Santana’s Selecao, needing just a draw against Italy, opted for a fearless, attacking approach and paid the ultimate price by getting knocked out of the tournament. A contrast to what Sunderaraj achieved with Kerala in the 1973 Santosh Trophy final — where a system overpowered a strong Railways team. He gave everything for the game. But the game, he reminds, didn’t give him or other footballers from his generation a lot in return. “We retire and they forget. We only live in the public imagination only till we are playing. A lot of my national team colleagues had a tough time after they retired. Zulfiqar (Mohammed Zulfiqaruddin), who played in the 1956 Games, told in an interview that he had no money to get his children married off. Yousuf Khan, who played in the 1960 Rome Olympics with me, needed help from friends to buy medicines as he battled Parkinson’s. I only learned about this after he passed away,” he remembers. “I know the government is providing support to a lot of athletes, like giving pension to veteran players. But as an Olympian, I cannot go and approach the All India Association or the State Association and ask for some pension. My dignity won’t allow me to do that. Instead of them coming here and asking whether I need some help, why should I go there,” he says. Sundararaj, who will turn 80 in November, still harbours hope of seeing India in top tournaments. “Milkha Singh, in an interview, said he hopes to see an Indian in the final of an Olympics track event before he dies. Similarly, I hope to see Indian football team in the Olympics or the World Cup before I die,” says Sundararaj. The article was written in October 2018. Mohammed Zulfiqaruddin, mentioned in the piece, passed away in January this year. Slackliner Samar Farooqui is on a mission — to provide a platform for fellow adrenaline junkies to channelise their ‘extra’ energy. “A lot of people turn to drugs and alcohol because they don’t have a platform to channelize their energy. I was fortunate enough to find slacklining. I want to spread the benefits of the sport to the millions of people who are out there, who can use this positive energy,” said Farooqui. Farooqui was ‘the kid with the extra energy’ while growing up, and liked to push himself physically all the time. “Once I got locked out of my home in Mumbai. Our flat was on the fifth floor but there was renovation work being done to the building. I climbed the bamboo stilts they had built to paint the building and got in through the window,” he recalled. The 27-year-old Business Administration graduate had never planned on making a career around slacklining though. He was introduced to the sport by a friend in 2010, and later found an opportunity to sharpen his skills in New Zealand, where he completed graduation. Returning from New Zealand, Farooqui found it hard to find spaces to slackline in India. He even got arrested once by the Mumbai police. “The tipping point for me… when I realised this has actually reached really far, was in 2014, when I got arrested for slacklining. I knew I had to do something about,” he said. He founded Slacklife Inc. – a sport and recreation company – in 2014. “The company was actually born out of the need for all the misfits, that are branded by the society, to feel one and feel welcome”. The company hosted India’s first slacklining and highlining fest called ‘Between Years‘ in 2016 and is already preparing for the second edition of the event. I produced this video while working for Firstpost. I was accompanied by Firstpost’s Jay Mehta for the project who oversaw the edit. All rights to the video go to Firstpost (Network 18). On a summer day in 2003, the fax machine at Gianfranco Zola’s office buzzed with an unexpected message. It was a request, more like an ‘offer you can’t refuse’, from Russian billionaire and Chelsea football club’s new owner Roman Abramovich. He desired to retain Zola, who had left Chelsea in the summer for his hometown club Cagliari and was willing to pay £3 million as wages to the Italian, and another £1 million to Cagliari to buy out the contract. As rumours go, the diminutive attacker, who was a key figure in Chelsea’s Champions League berth-clinching 2002-03 campaign, had played a huge role in convincing Abramovich to buy the debt-ridden London club. He wanted Zola in his Chelsea, and the team’s football to be modelled around the attacking guile that the Italian brought to the football field. Zola rejected the offer to stay true to his promise to Cagliari but the fax message was a precursor to how Abramovich would function — he gets what he wants. Soon an army of international players was gathered at the Stamford Bridge. A roaring lion with a sceptre replaced the old laid-back lion on Chelsea’s crest. The intention was clear — to win but also win by playing attractive football. Unfortunately for Abramovich, the king he chose to run his empire (after giving a season to Claudio Ranieri), Jose Mourinho, came from a different school of thought, where winning was all that mattered. Mourinho, in his first stint at Chelsea, instilled his DNA into the Chelsea team, making them winners, although not by playing the football Abramovich craved for. The marriage didn’t last long with Mourinho leaving the club in his third season with the Blues. A herd of managers (10 including two stints by Guus Hiddink) occupied the helm at Chelsea, won trophies aplenty, but alas, failed to deliver the football their Russian owner desired. Antonio Conte became the latest manager to be sacked by Chelsea on Friday. Appointing Maurizio Sarri, the banker who turned into a football coach to help Empoli and Napoli scale new heights in the Italian leagues, is Abramovich’s latest attempt at bringing attractive football to Stamford Bridge. The bespectacled tactician, known for his smoking habits on the pitch, doesn’t come with the same reputation as Mourinho or Carlo Ancelotti, but his work at Napoli has earned him praise within the footballing world. The manager is notoriously famous for his work ethic, as is obvious from his desire to live at Chelsea’s training ground in Cobham, and encourages his team to play attacking football, often called ‘Sarri-ball’ or the vertical tiki-taka. “If I saw my team defending and counter-attacking after 30 minutes, I would get up and return to the bank because I would not be having fun,” the Italian said during the 2015-16 campaign with Napoli. The Sarri-ball is his solution the problem – a possession-based style with plenty of short, quick passes but with an emphasis on moving up the pitch quickly. In simpler terms, it is the best of Spanish football and the best of German football integrated into one formation. Sarri’s Napoli liked to have the ball, but the objective was always to systematically move it forward unlike the Barcelona side who mastered the traditional tiki-taka, which involved horizontal passes that stretched the opposition team and made holes for key passes. Current Manchester City manager Pep Guardiola, who implemented tiki-taka to perfection at Barcelona, was so impressed after facing Sarri’s Napoli in the Champions League in the 2017-18 season that he described the team as the best side he has faced in his career as a manager. While Sarri might not have titles to show for his time at Napoli and Empoli, he did beat title-winning Max Allegri to the Panchina d’Oro (award to given the best coach in Italian football) in the 2015-16 season. Sarri’s big break as a coach came in 2012, aged 53. He was hired by Empoli, then struggling in the lower ends of Serie B. A relegation survival would have been enough for Sarri to secure his job but the former banker ensured that the club reach the promotion play-offs in his first season. In his second season, Empoli secured a promotion to top-division and in his third, the Florence-based team managed a respectable 15th position in Serie A with a shoe-string budget. It was not just the position that was impressive. Sarri’s Empoli were strong in defence – conceding the second least number of goals – and played a football that involved keeping possession of the ball. His success at Empoli might have gone unnoticed by the media, but the football world had taken note of the late-blooming manager. According to various reports, Arrigo Sacchi, the legendary AC Milan coach, asked then AC Milan owner Silvio Berlusconi to sign Sarri as their manager. But Berlusconi hesitated and Napoli owner Aurelio De Laurentiis came swooping in for the Sarri. The rest, as they say, is history, as Sarri introduced the famous Sarri-ball system and gave Juventus a tough battle in Serie A. Things will not be easy for Sarri at Chelsea though. Unlike Napoli or Empoli, where players hadn’t tasted a lot of success, Chelsea are a club with a winning DNA. 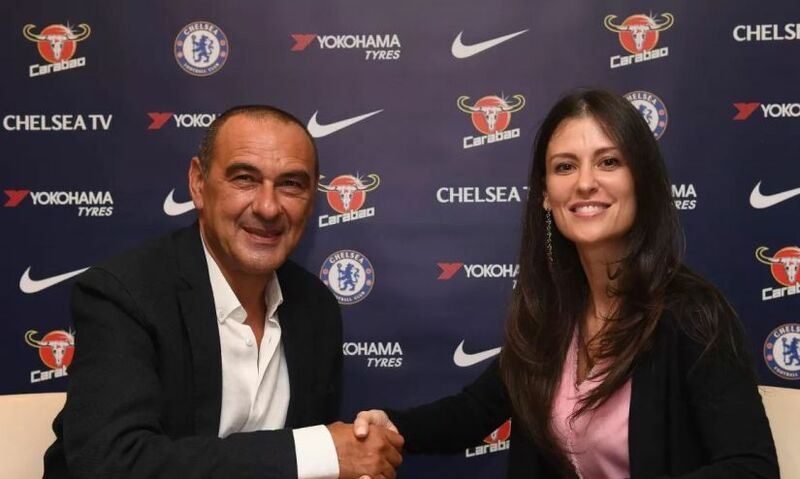 It remains to be seen if the players at the London club will accept Sarri’s demands of an attractive, fast-paced football, especially having a played a counter-attacking, defence-first football for most of their time in London. Sarri won’t be the first attractive-football-playing manager their Russian billionaire manager has appointed. Remember what happened to Luiz Felipe Scolari and Andre Villas-Boas? Chelsea never bought into their ideology and eventually led to the sacking of the managers. Chelsea are a club built on a tough defence. They have always been tough to crack but didn’t often play the most flamboyant of football. In fact, judging by the club’s history, it wouldn’t be Chelsea if they didn’t resist Sarri’s policies. To ensure a smooth functioning environment for Sarri, Chelsea will have to support him in the transfer market. At Napoli, he played he deployed a 4-3-3, with two centre-backs who were comfortable with the ball, had great distribution and were athletic. While Andreas Christensen and Antonio Rudiger fit the description, Gary Cahill and David Luiz’s future will be in doubt. Chelsea have been linked with Juventus’ Daniele Rugani, a young centre-back whom Sarri managed at Empoli, while returning Kurt Zouma also offers a fresh option. Similarly, his midfield trio included a defensive midfielder, a box-to-box player and a playmaker. In N’Golo Kante and Tiemoue Bakayoko, he has strong and athletic midfielders, but Cesc Fabregas might struggle in the advanced role. But with Ruben Loftus-Cheek set to be given a major role in Chelsea, and Jorginho all but confirmed, the midfield looks ready to play Sarri-ball. If rumours are true, Sarri will also be assisted by Zola. The former Chelsea player has a decent resume as a coach, having managed West Ham United, Watford and Birmingham City in England and is a favourite amongst Chelsea fans. He will also be able to act as a mediator between the players and the manager, thereby easing the transition. Zola’s agent has publicly expressed his client’s desire to work with “idol” Sarri and his appointment would mark the perfect end to a 15-year-long cycle that started with Abramovich sending a fax message asking Zola to join his empire. The question is whether the end of the cycle will produce the football that Abramovich craves for at Chelsea. One thing is for sure, with Sarri’s appointment, the Premier League will become richer with another coach who has a distinct, positive approach to football. Imagine Sarri-ball, Guardiola’s tiki-taka, Klopp’s gegen-pressing, Unai Emery and Mourinho’s counter-attacks, and some good old English long-ball game in the Premier League next season. Puducherry: “Surely this can’t be the right location,” I thought, as my cab took a sharp left into a small fishing harbour in the town of Puducherry. There were medium-sized fishing boats docked from one end to the other, all with Indian flags tied on top — a sharp reminder to how close we were to international waters. Fishermen were mending their nets, oblivious to the gravity of the event that had brought me to their haven. I was at the former French colony to attend the inaugural Pondicherry Sailing Regatta — an Indo-French bilateral sailing event, hosted by Bonjour India. I was expecting something different though. Yachts, sailing boats, well-dressed people… I was told sailing was the water sports equivalent of golf — a sport the majority in a country like India can’t afford. The wooden house, at the western end of the dock, which acts as the office for the Pondicherry Sailing Association (PSA) was anything but opulent. Around the wooden house were participants, repairing their boats, before they docked it for the day. Nothing about the PSA office was like what I had envisioned a sailing club to be. There began the deconstruction of my popular culture-inspired perception of sailing. “The sport is about balance. The balance of the mind and body. It is not just a race to beat others. It is about discovering your way,” says Mael Garnier, who was part of the French sailing team in Puducherry for the Regatta. It wasn’t until later in the day when I was taken into the sea, on a fishing boat, to witness the sailing boats in action, that I understood what Garnier was talking about. Sailors spend hours in the sea battling the constantly changing nature. According to Colonel SK Kanwar, a jury member for the Regatta, a good sailor is someone who can understand the nature of the water currents or the wind direction faster than his/her competitors. While a good understanding of the nature is a prerequisite, a sailor should also be at peace with his/her surroundings, considering the time spent alone in the sea. “There are two things that can happen — either you are ultra-competitive and you forget to pay attention to the nature. Or you are at ease; it is easy for that to happen when you are alone in a boat in the water, and you let the nature take you away from the destination. Sailing is a game of balance,” says Ivan Scolan, another member of the French sailing team in India. The races are also designed to test sailors’ ability to navigate through nature’s obstacles. Often starting lines for the races are set opposite to the direction of the wind. The sailor has to rely on his/her understanding of the winds and the tides to navigate around the circuit. “When the wind is in the opposite direction, sailors will try to create an angle with the wind and then navigate to the next check-point. What angle or what route they opt for will eventually have a say on the time. One needs to constantly make adjustments to the sail to come out on top,” explains Colonel Kanwar. “You can’t say sailing is cheap. But it is not expensive either,” explains Felix Pruvot, a former Olympian with the French national team, and coach of the French team taking part at the Puducherry Regatta. In France, according to Pruvot, small clubs ensure that people from all backgrounds have an opportunity to sail. “It is a part of our culture, so investing in sailing doesn’t look like we have wasted money,” adds Pruvot. Watch: French sailing coach Felix Pruvot speaks on India’s potential as a sailing hub. While it may be true in France, and other European regions, India is far from accepting sailing as a part of its culture. 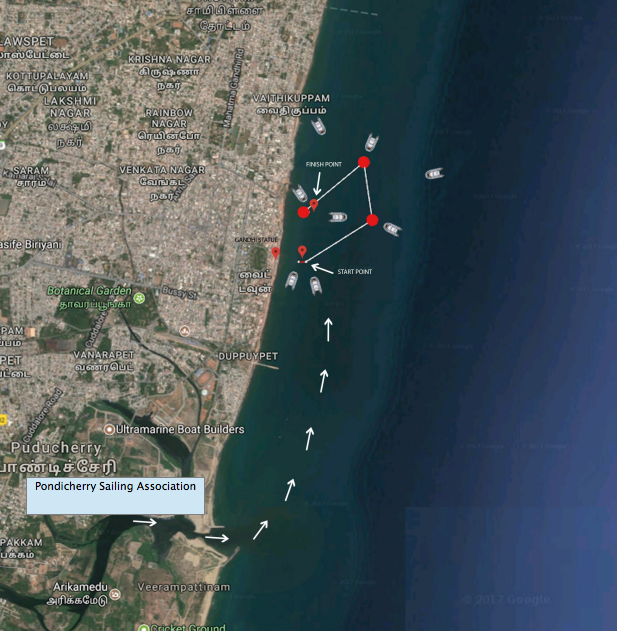 While sailing has always existed in certain parts — Mumbai, Chennai and Visakhapatnam have a history of sailing — it has never truly been a recognised sport or a leisure time activity in the country, partly due to the expensive nature of the sport. A beginner-level sailing boat costs between ₹1 and ₹2 lakh in India. Surprisingly, though, India has taken part in sailing competitions six times at the Summer Olympics. This is largely due to the army and navy funded sports schools throughout the country. Some of the best sailing schools in the country are funded by the two. States like Madhya Pradesh and Maharashtra have also started investing in the sport — National Sailing School, Bhopal (founded in 2006) is arguably the country’s best academy and has been producing world class athletes in the last few years. According to Anil Sharma, teacher at NSS Bhopal and coach to India’s top sailor Harshita Tomar, India is yet to discover true stars in sailing. “In Bhopal, we have summer coaching camps to identify potential sailors. But we don’t have access to the sea there. All our sailing classes are on the lake. Imagine if we can coach people who are actually used to the sea, who are familiar with the tides,” he points out. Janaki Balachander, professional sailor and a trainer at the PSA, agrees. She was part of team from PSA that conducted a training class, an initiative by the tourism ministry of Tamil Nadu, for 55 kids from the local fishing community in 2017. “You should have seen how quickly the kids picked up. It took me way more time to learn sailing. It was like they were born to sail,” she says. Contrary to popular beliefs, not all sailing competitions are conducted in the sea. Large lakes or inland water bodies also make challenging circuits for sailors due to the constantly shifting wind currents. “In the sea, the wind patterns are more predictable. It’s usually towards or away from the land. In lakes, that is not the case. There are constant changes and you need to be really prepared. But major sailing competitions are often in the sea so one needs to practice in coastal regions,” explains Pruvot. India, fortunately, has a perfect mix both inland water bodies and the seas. But while the geography is conducive, a lot remains to be done to improve the perception of the sport. “Very few people know about sailing. Even when I say to my friends or relatives about sailing, everyone thinks it is swimming. Nobody understands what sailing is,” says Harshita Tomar, India’s top-rated sailor and the winner of the Laser 4.7 category at the Regatta. Watch: Harshita Tomar speaks on what India needs to do improve our athletes. Tomar, who will be representing India in the upcoming Asian Games, is hopeful that more people will take up the sport in the future. “In Madhya Pradesh, we get a lot of support from the state government. They take care of our fitness, nutrition etc. Hopefully we will see more states do the same,” she adds. With 10 medals at stake, sailing is an integral part of the Summer Olympics and is a sport that needs to be taken more seriously in India. The country needs more schools like NSS Bhopal to pop up and that to be followed up by good government interventions such as providing subsidies for sailing boats. 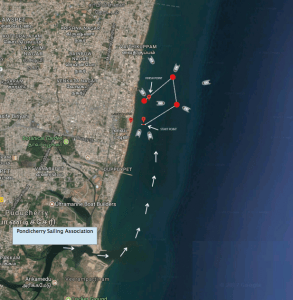 But with the likes of PSA actively looking for ways to reform the sport, it is only a matter of time that India sets anchor with the very best in the world of sailing. “It is great that the NBA is here. It is important that we train kids when they are young. They can learn and adjust their bodies than what I can do. It is very difficult for me the change my stance or the form,” explains India’s latest star to reach the NBA, Amjyot Singh Gill. He speaks like a seasoned professional. In some ways he is. His basketball career was moulded at the Ludhiana Basketball Academy under the watchful eyes of late Dr S Subramanian. He has played regularly for the Indian national team, flourishing as an all-around forward under the likes of coaches Scott Fleming and Kenny Natt, and then moved to Japan for a season, where he won the title with Tokyo Excellence. But for the 26-year-old Chandigarh-born hoopster, currently plying his trade with NBA G-League team OKC Blue, the journey has just begun. “The day I put on the OKC Blue jersey I felt I had come close to my mother’s dream. My mother always wanted me to be the best in any sport I take up,” he says. To be the best in the sport he will need to cement a place with the OKC Blue and then impress an NBA Franchise enough to swoop him up. The latest episode of Unwind features Amjyot Singh, who talks about his career so far and his dream of playing in the NBA. Hyderabad: Colourful bandanas and unprecedented success have made Sharath Kamal synonymous with Indian Table Tennis. But being a table tennis player in a cricket-dominated nation isn’t an easy task. The Chennai-born paddler, who gave up the opportunity to study engineering and lead a ‘normal’ life, to pursue a career in table tennis, has gone through many ups and downs in his stellar career. And at 36, Kamal is not showing any signs of decline. The paddler defeated compatriot Anthony Amalaraj to win the National Championships earlier in 2018 and then carried the momentum to the Gold Coast Commonwealth Games where the team scaled new heights. The latest episode of Unwind features Kamal, who shares with us the secret behind his love for bandanas and how he thought his career was finished when he suffered a hamstring injury in 2015.